Mr. David Warne oversees Penn-Florida’s project debt and equity requirements, as well as institutional investor communications. Mr. Warne has over 30 years of experience in real estate finance, and has directed project funding for over $20 billion in real estate value across all property classes on behalf of such notable companies as Wachovia Bank, Ocwen Asset Corporation and SunTrust Banks. 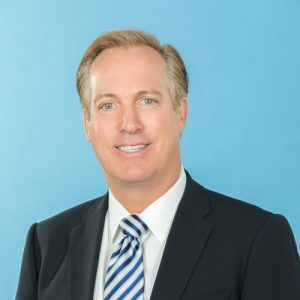 Most recently, Mr. Warne was the Senior Real Estate Banking Executive for Wachovia in the South Florida market – managing a 12 person lending team and a $2.75 billion property portfolio. Mr. Warne graduated from the University of Pittsburgh with a degree in Economics and received his Master of Business Administration degree in Finance from the University of Miami.